Burberry stirred up some controversy with their 2019 Chinese New Year ad campaign. The British luxury label’s attempt to honor China’s biggest holiday with a series of photos featuring A-listers Zhao Wei and Zhou Dongyu donning the brand’s newest products had one Weibo user asking, "Is this a horror film poster?" 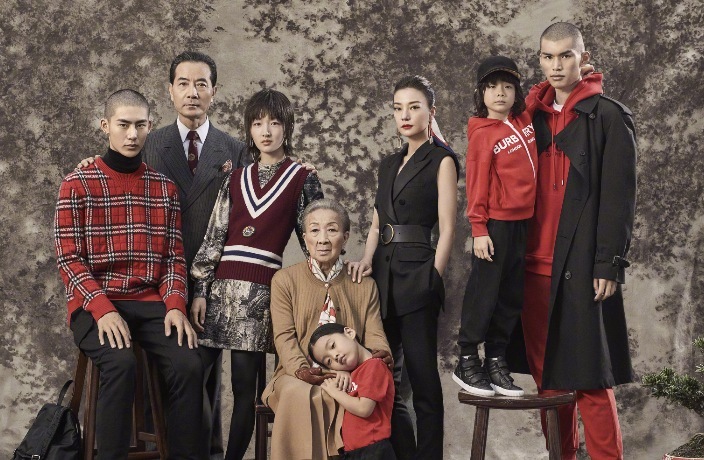 In particular, many criticized a couple of the family portraits from the shoot that looked like “a bunch of fu’erdai’s plotting to assassinate grandma and steal her family fortune,” according to other commenters on Weibo. Days after the initial release, the brand replaced the group shot in question on their website and various Chinese social media platforms with less creepy photos from the same shoot.